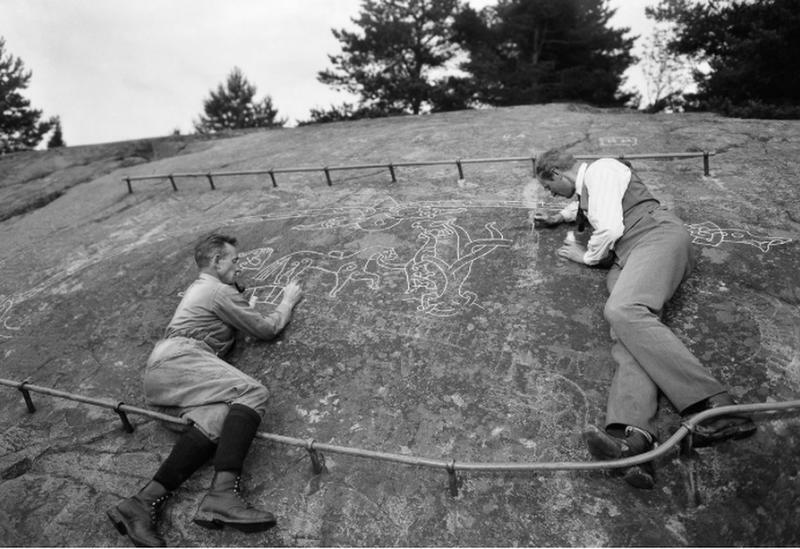 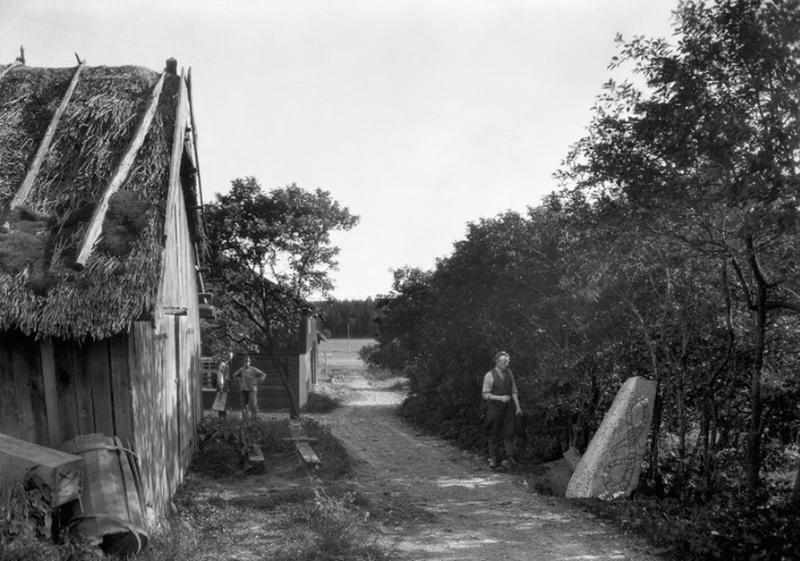 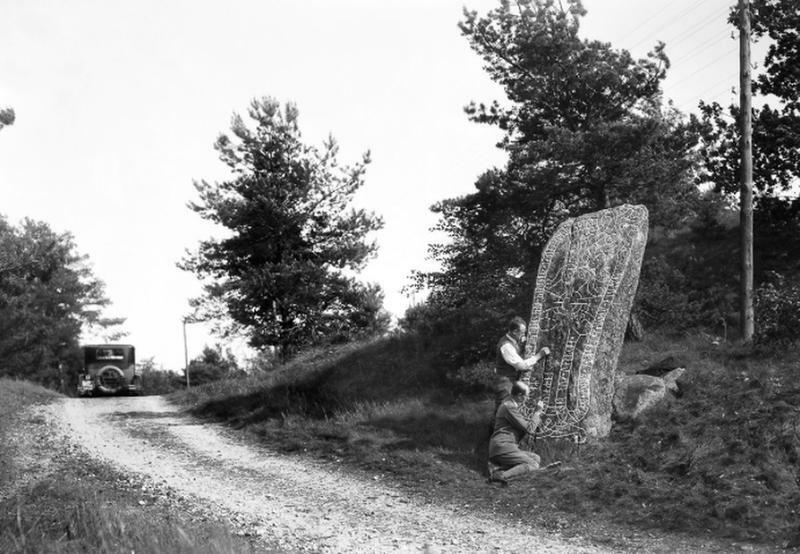 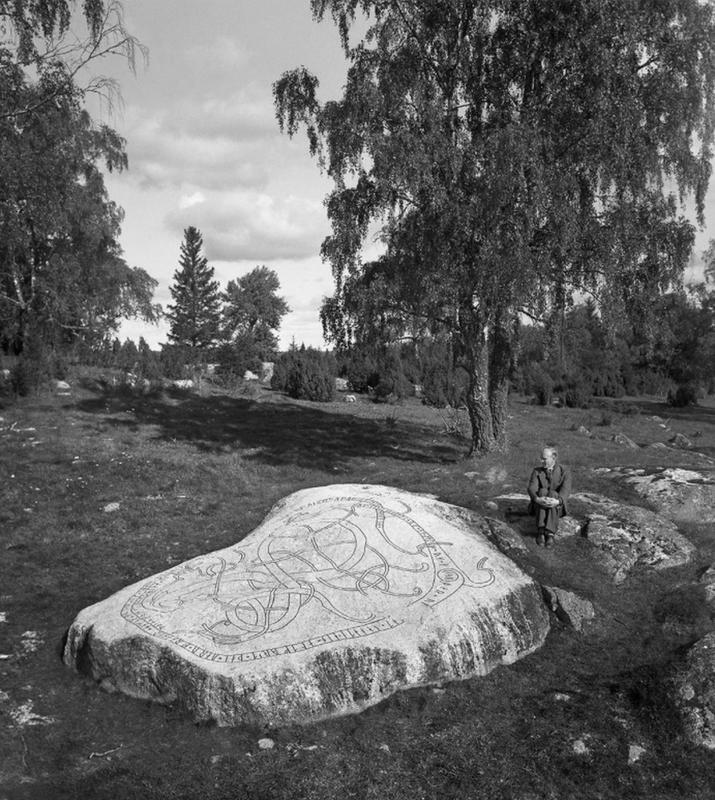 Scattered across Scandinavia, and particularly Sweden’s Uppland province, are thousands of stones carved with runic inscriptions dating from the Bronze Age up to modern times. 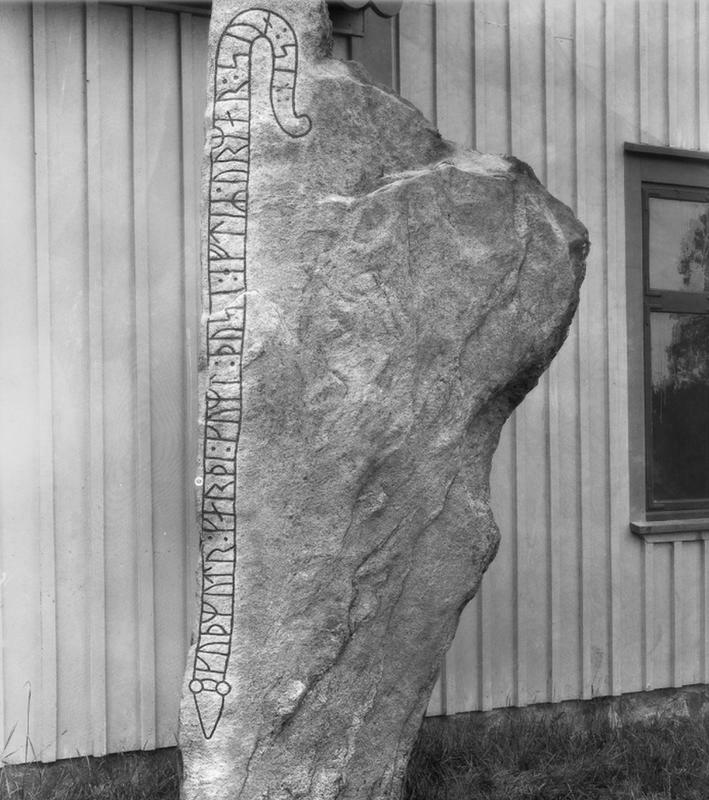 These are called Runestones. 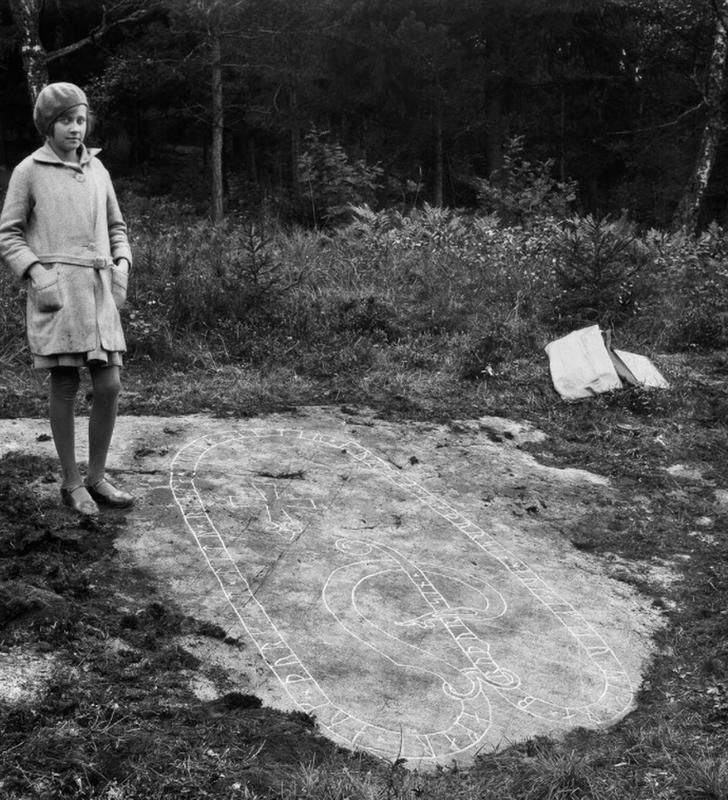 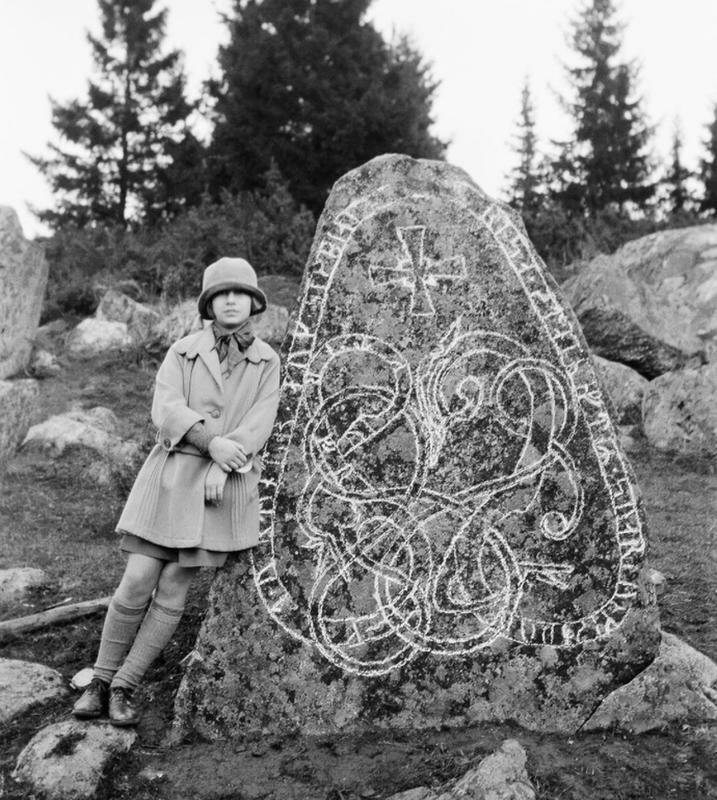 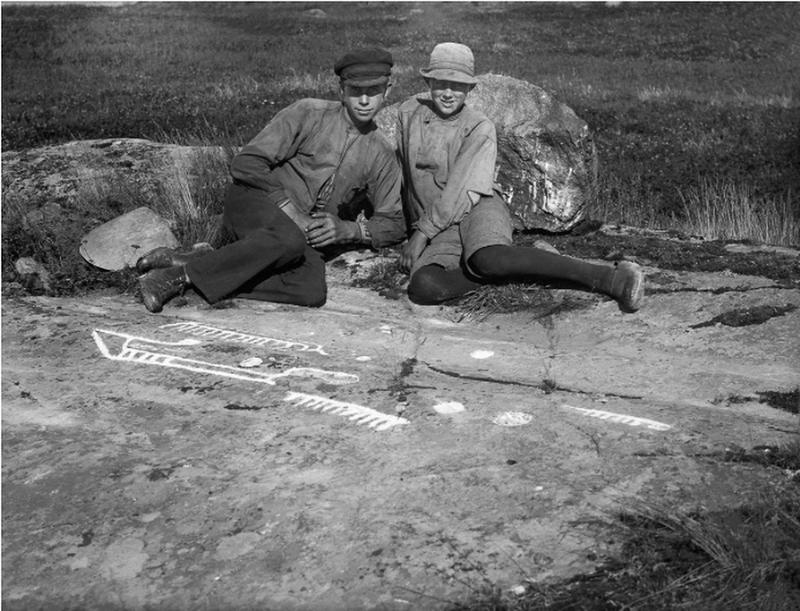 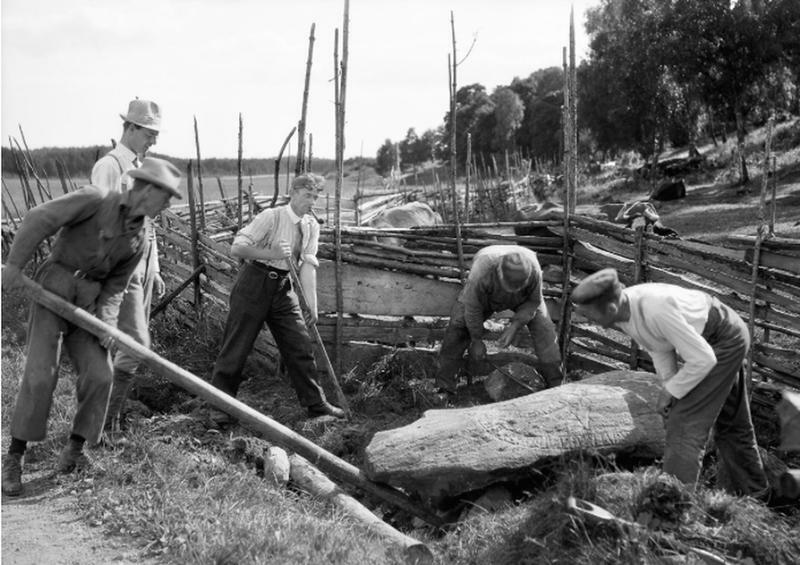 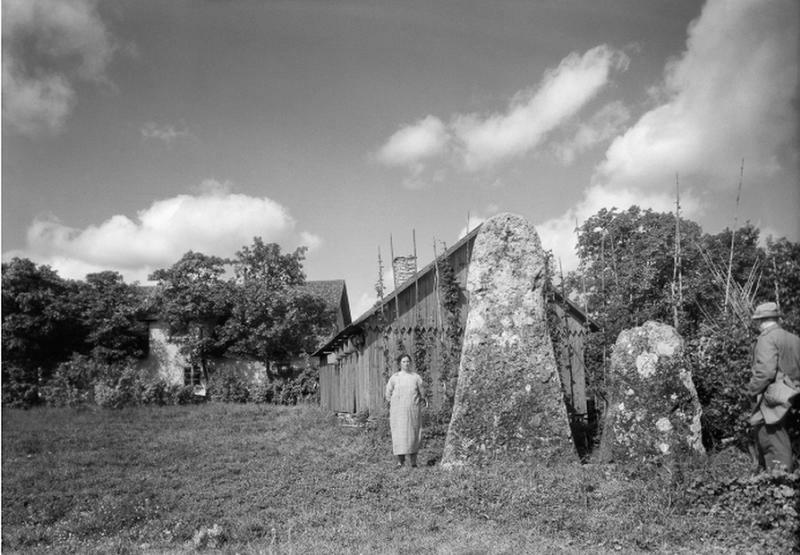 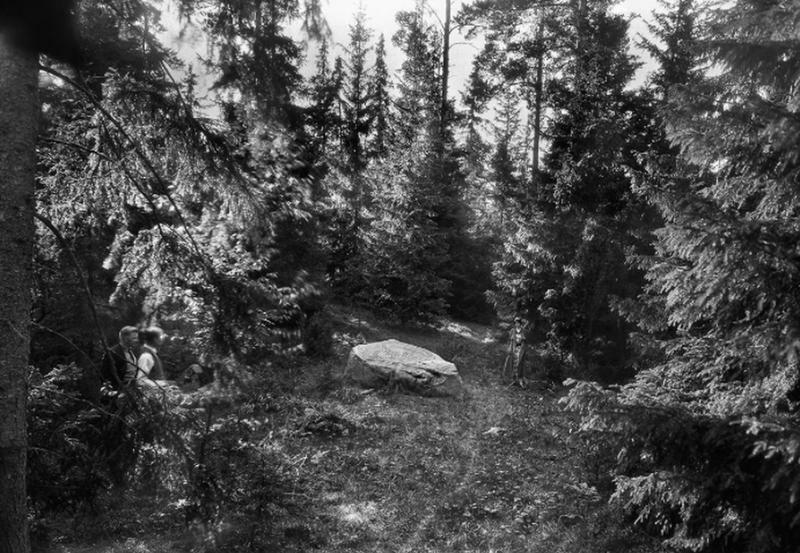 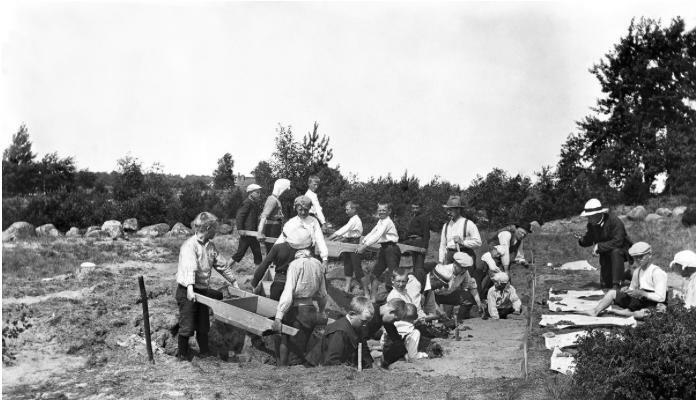 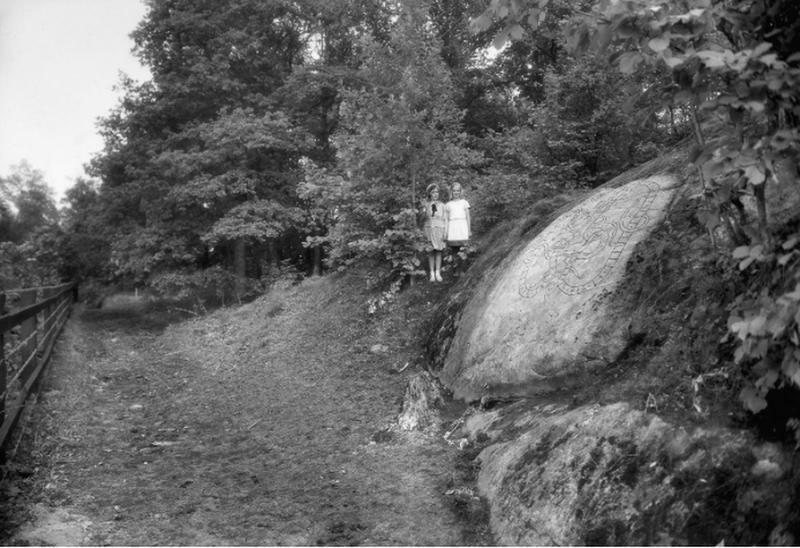 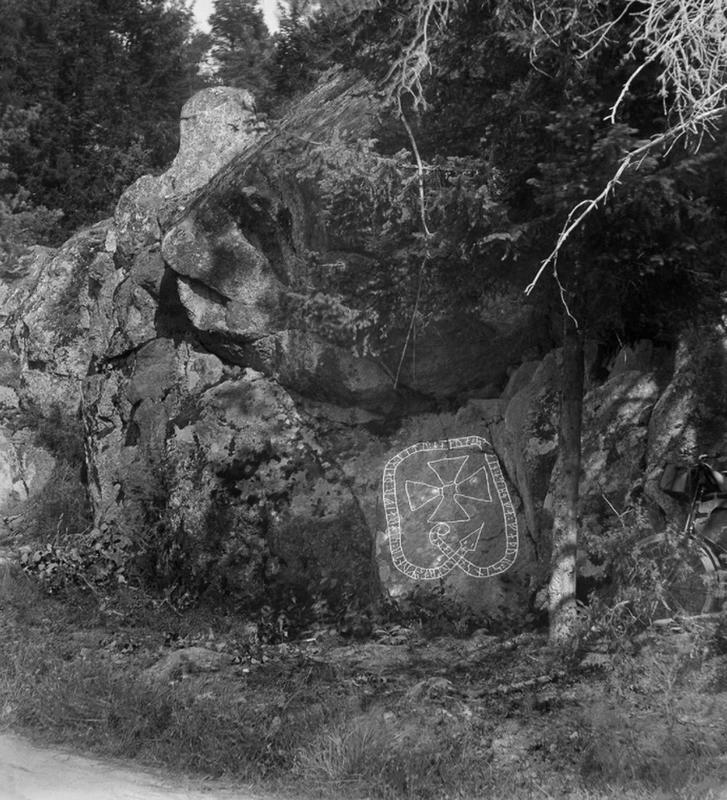 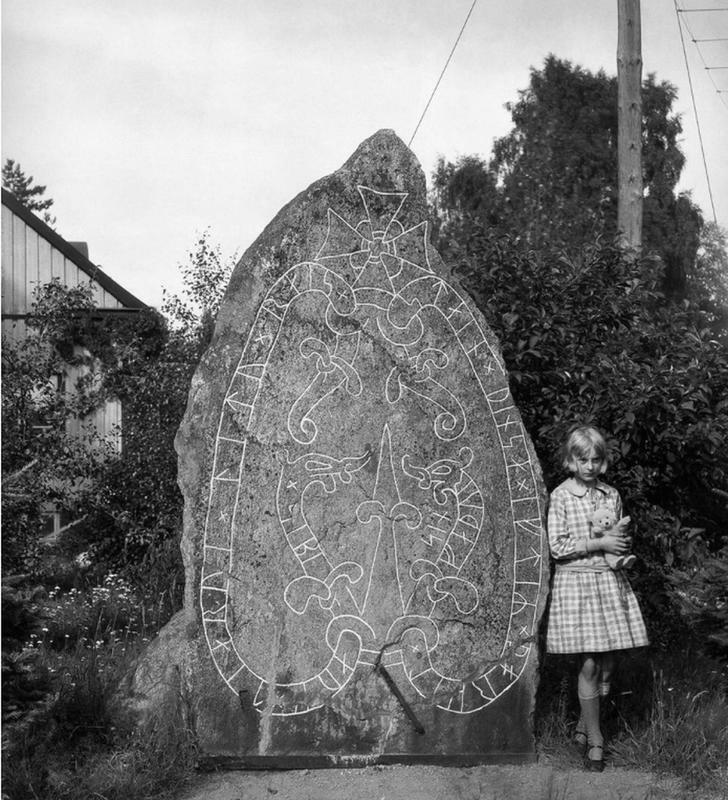 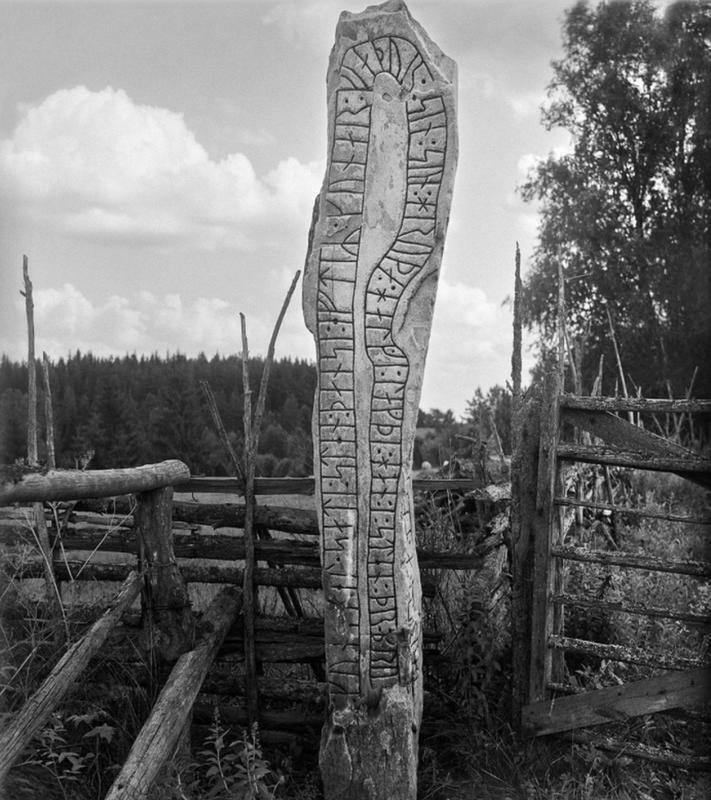 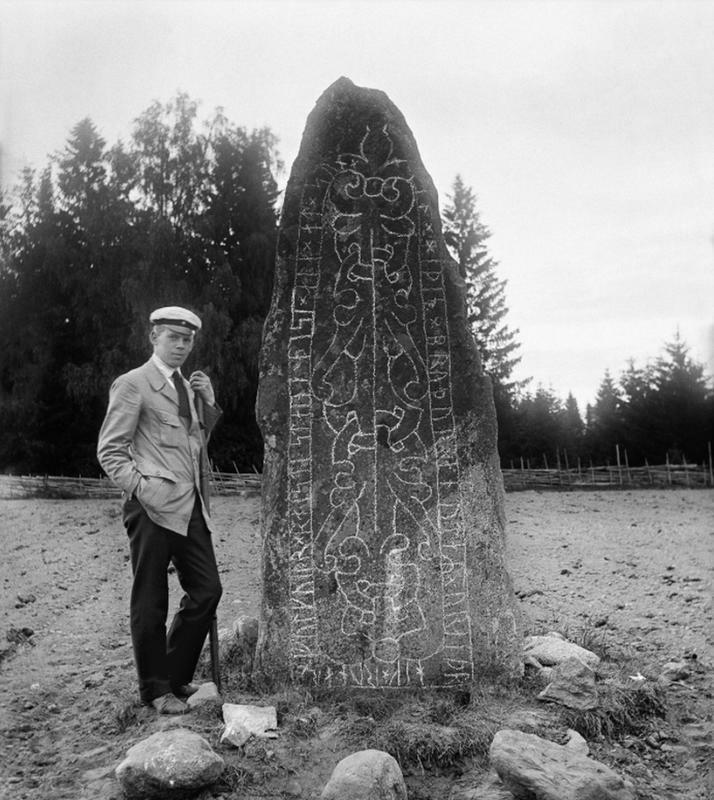 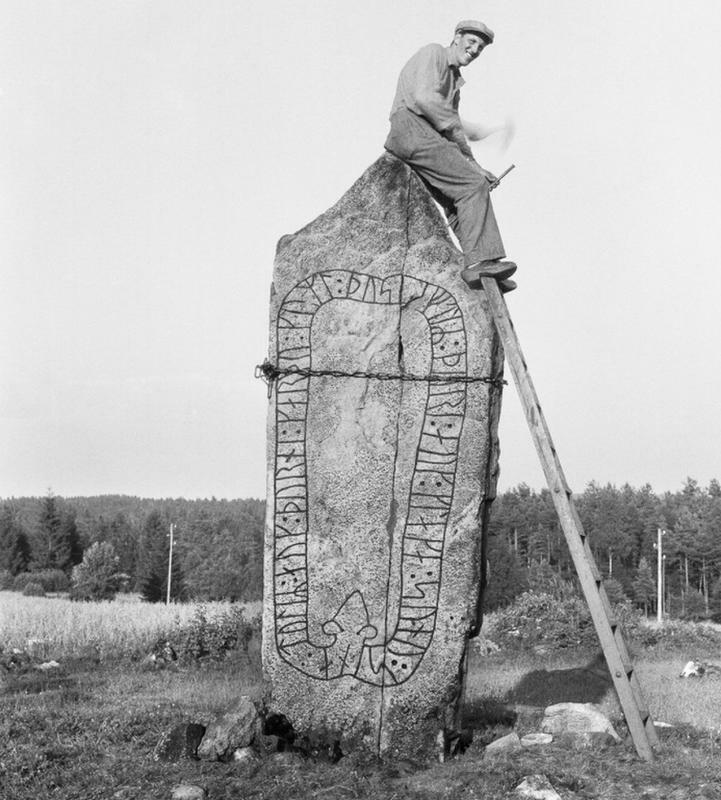 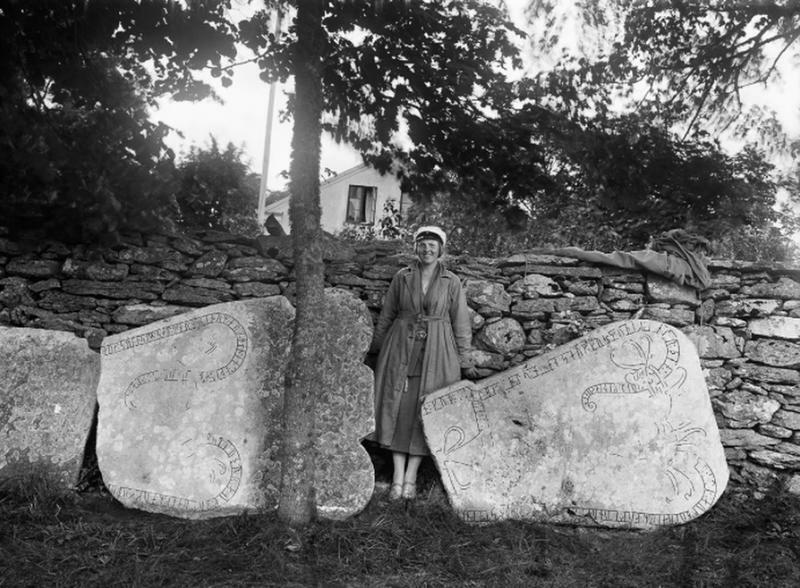 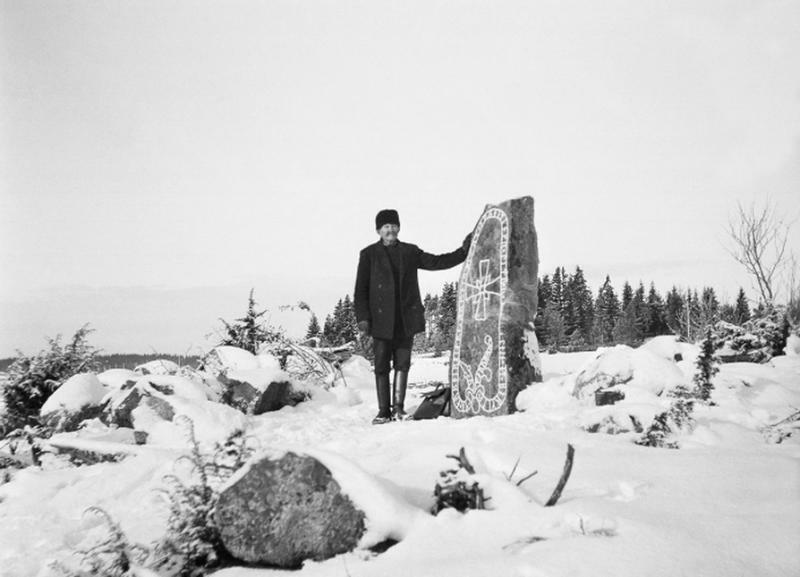 Runestones were primarily raised as memorials to dead relatives, friends or loved ones. 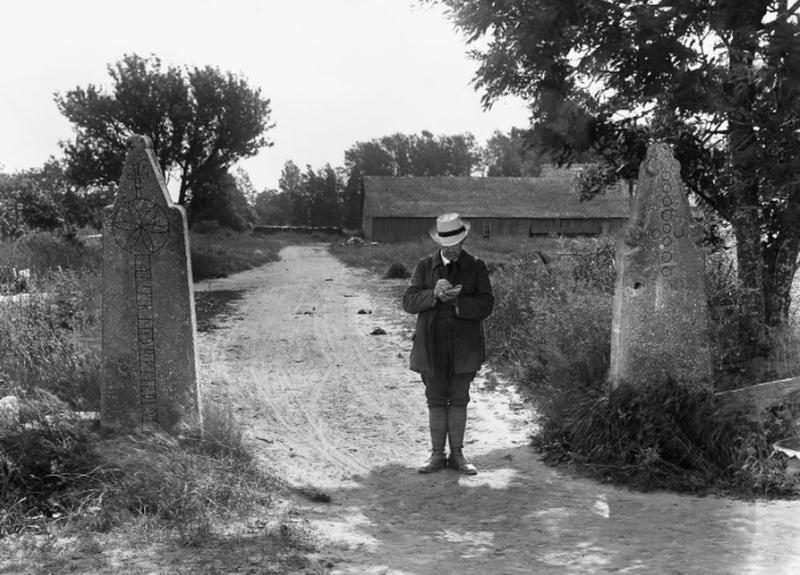 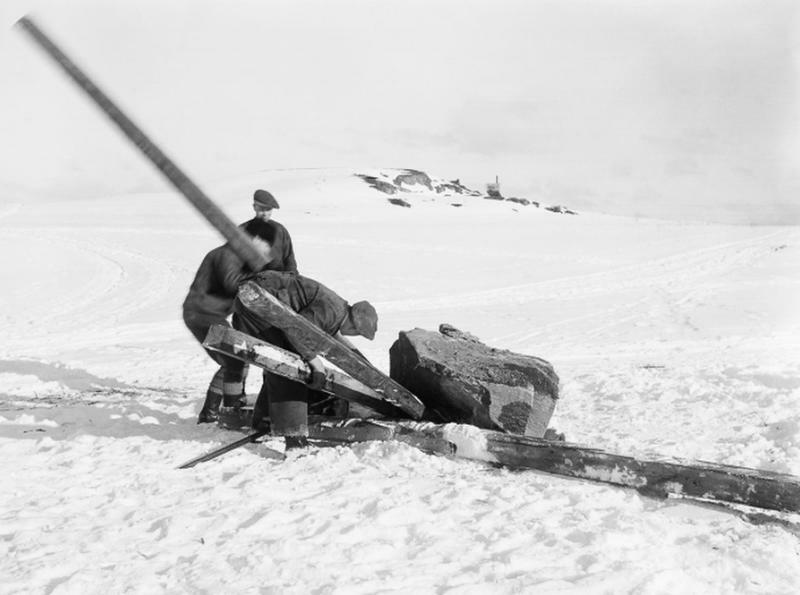 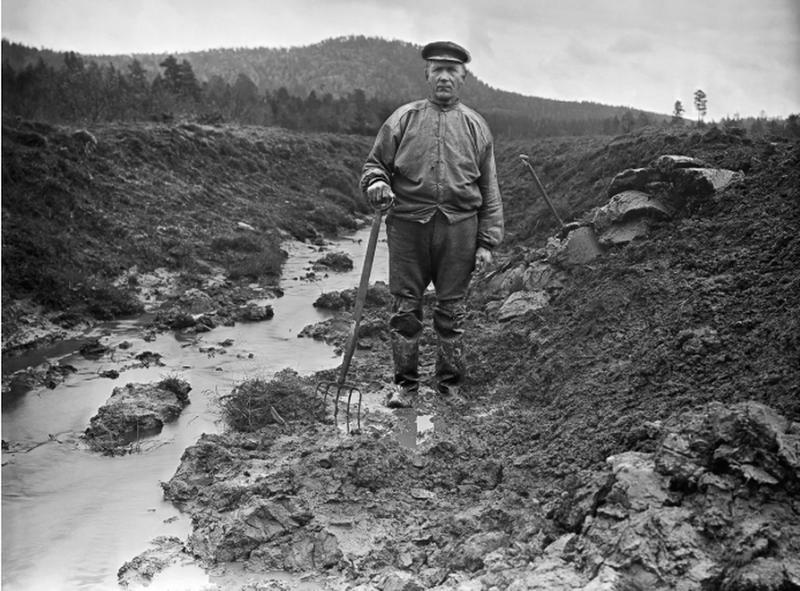 They were not used as grave markers, but placed along roads and paths where they could be seen by passersby. 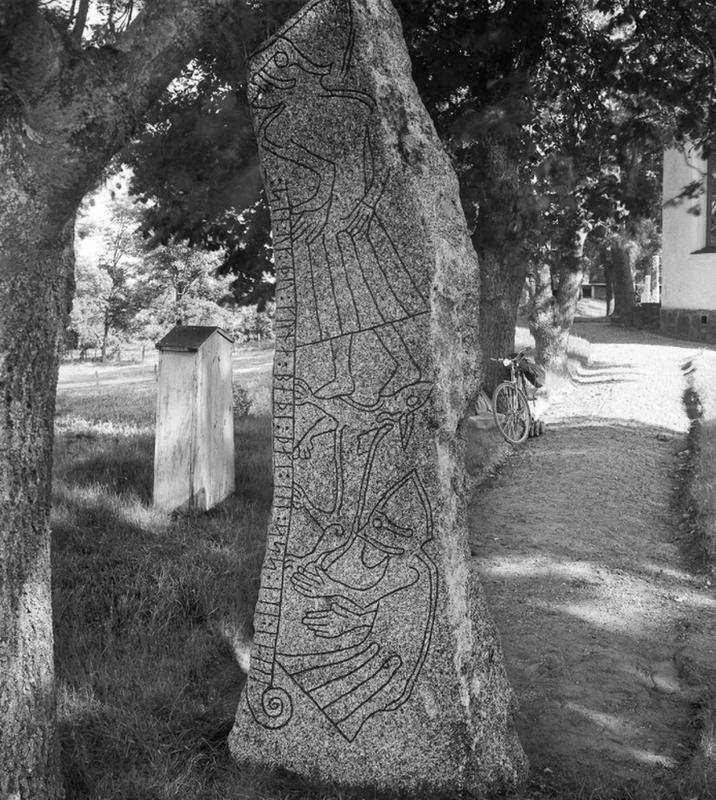 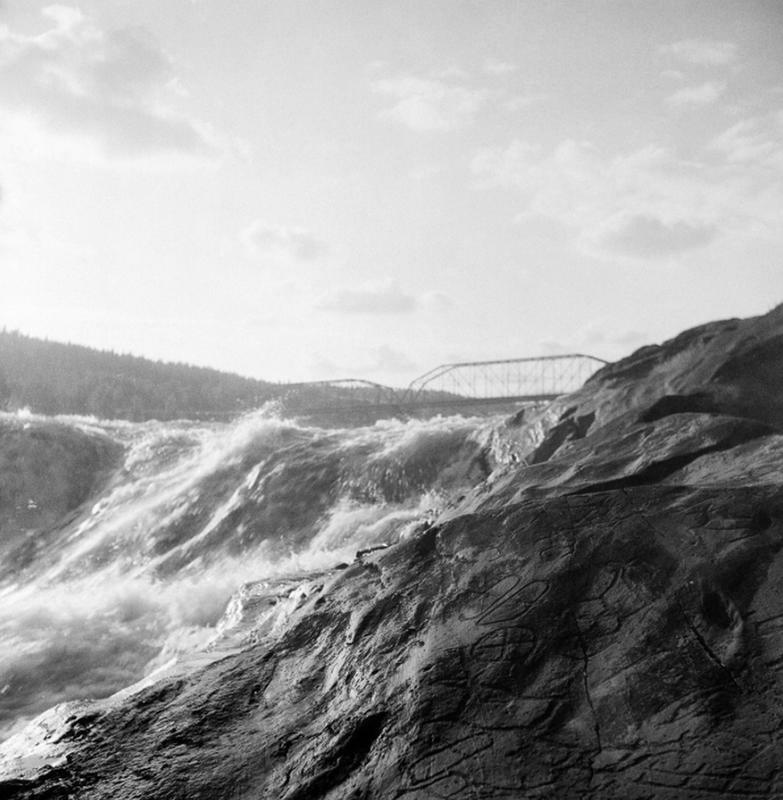 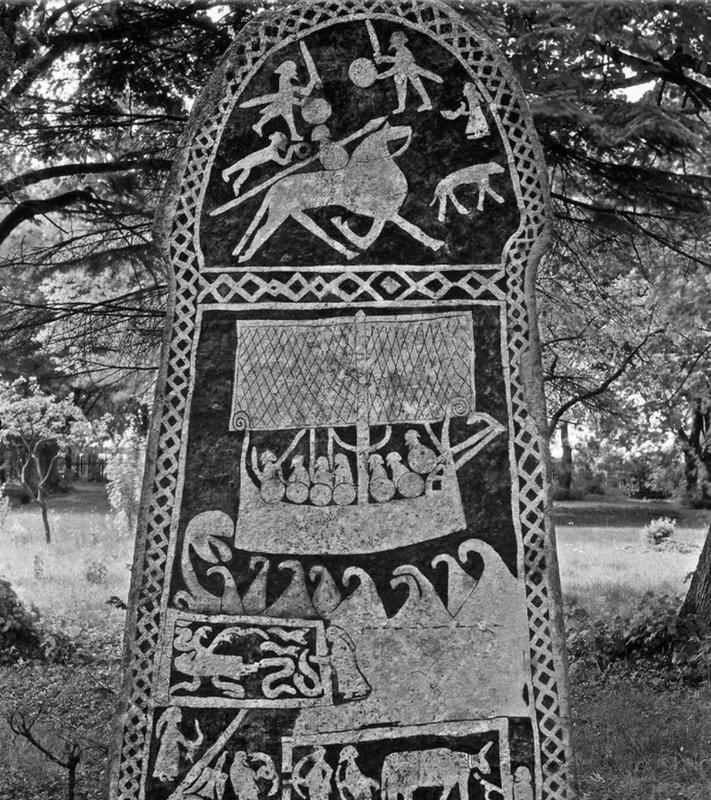 Most of Sweden’s surviving runestones date from the end of the Viking Age, or the 11th century AD. 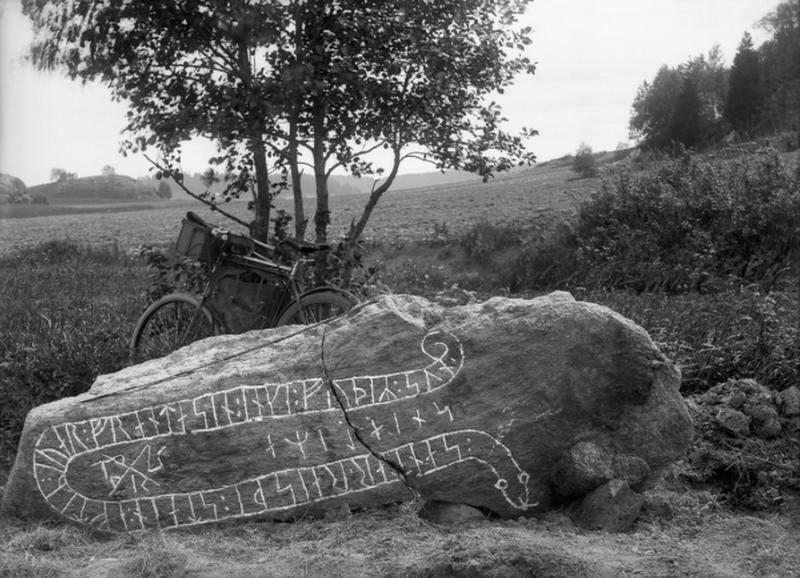 Most of the runestones are carved with a 16-letter script known as Younger Futhark, in curving bands sometimes ending with the heads of serpents or other creatures. 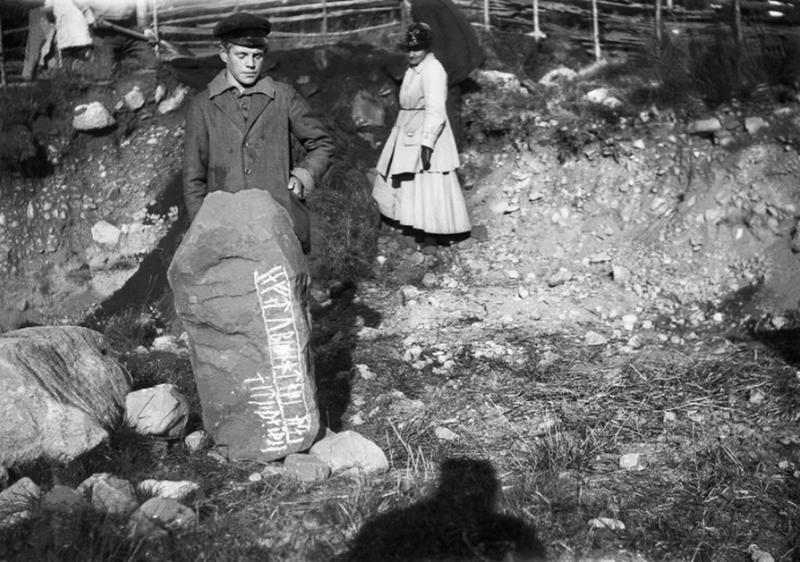 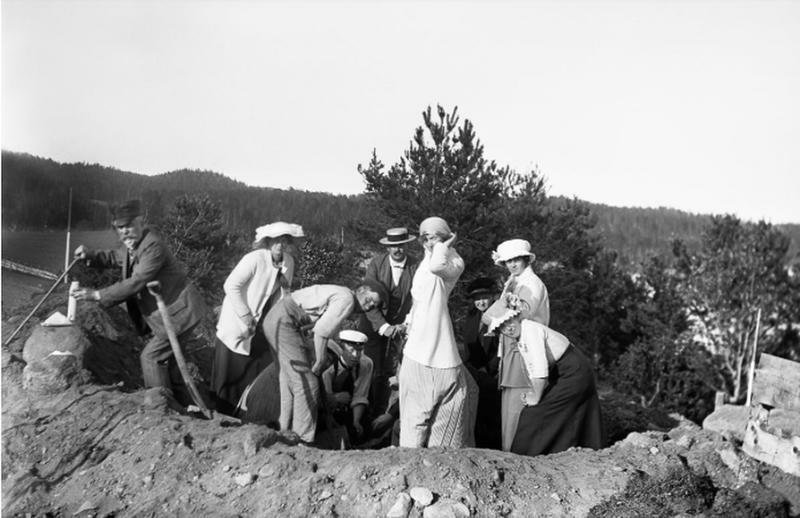 They record the name of the person for whom the stone is dedicated and who did the raising and carving. 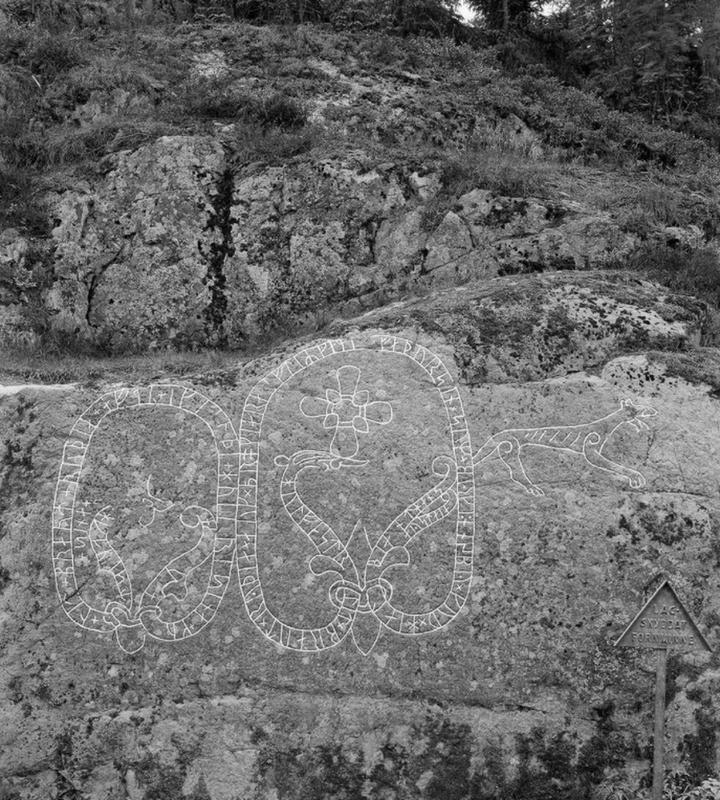 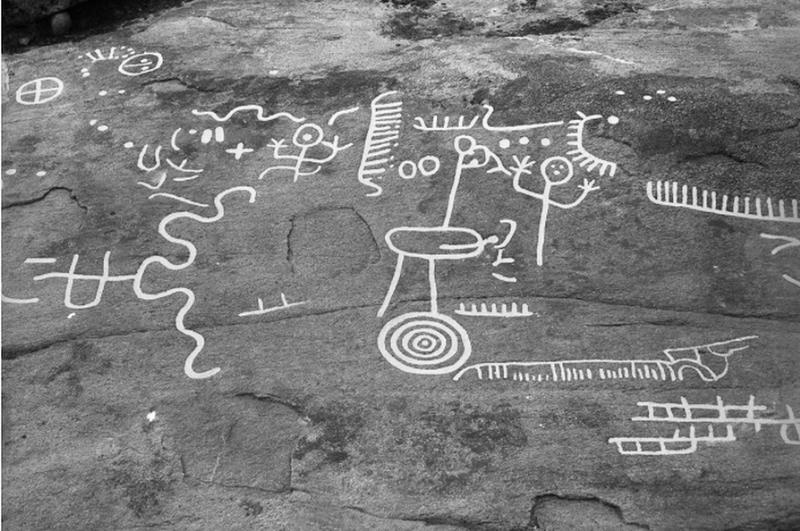 Other, older stone inscriptions feature more cryptic shapes, lines and pictograms.